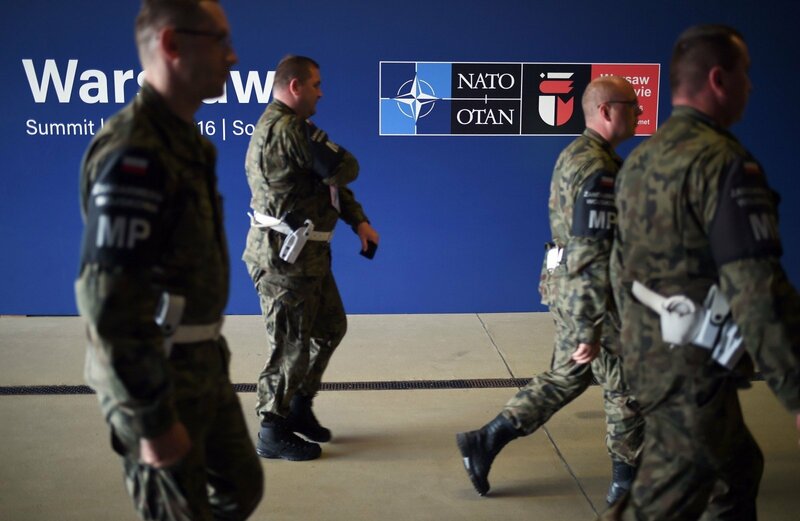 Lithuania on Tuesday formally welcomed troops of NATO's enhanced forward presence battalion that is being deployed to the country in response to Russia's threat. President Dalia Grybauskaitė said during a ceremony in Rukla, a small town in the central part of the country where the battalion will be stationed, that multinational forces would serve as a deterrent. "Never before has Lithuania hosted forces of such size and integrity. This sends a very clear and important message to all that NATO stands strong and united," she said. In the president's words, the biggest threat today lies in the "aggressive militarization" of the Russian Kaliningrad region and the large-scale war games planned for this year. German Defense Minister Ursula von der Leyen said that "never again will the freedom and the independence (of Lithuania) be sacrificed", referring to the Soviet and Nazi occupations. "We stand united so that the people of Lithuania can live without fear and shape their future as they like," the German minister said. Asked by journalists later whether Germany's commitments might be revised by the outcome of the elections scheduled for September, von der Leyen replied that "the commitments are strongly supported by all parties." During the Tuesday's ceremony, Lithuanian and German officials, NATO generals were tributes by a line-up of over 100 troops, mainly Germans, as well as Belgian and Dutch. The latter only arrived in Rukla on Monday. Grybauskaitė and the German defense minister viewed the military equipment brought by NATO partners to Lithuania, as well as a few German armored fighting vehicles Boxer. The German-led battalion is one of four such military units along NATO's eastern flank. The three other battalions of around 1,000 troops each will be stationed in Poland, Latvia and Estonia. The Lithuanian military have told BNS that 130 out of 450 German troops have arrived so far. Belgian and Dutch troops are joining them, with forces from Luxembourg, Norway, France and Croatia to come later. Several hundred US troops will also be deployed to Lithuania this year in a separate mission. Also, Czech troops are currently taking part in exercises in Lithuania. The forces are arriving amid concerns high in the region over US President Donald Trump's policies. Trump's statements friendly towards Russia and his remarks about NATO being outdated have drawn controversial reactions in Europe. Speaking to journalists in Rukla, Germany's von der Leyen said she had been assured by US Secretary of Defence James Mattis about Washington's continued commitment to NATO. "I spoke to my colleague from the US and he restated his commitment to NATO and our continued joint action and shared values," said the German minister. 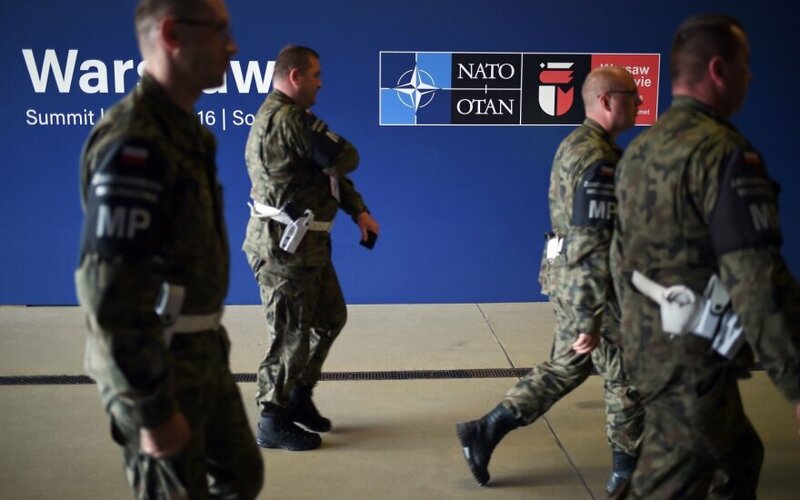 NATO said it was stationing forces amid Russia's intervention in Ukraine and the changed security situation. General Salvatore Farina, commander of Allied Joint Force Command Brunssum, told Rukla journalists that NATO combat groups on the eastern flank would help "avoid conflict by deterring potential aggression." Moscow denies any territorial ambitions in the Baltic states, claiming that NATO forces posed a threat to Russia's security. Military cooperation between Lithuania and Germany has intensified in recent years. Lithuania last August signed a 386-million-euro contract to acquire German Boxer infantry fighting vehicles, the most expensive purchase ever made by the country's military. The Lithuanian Armed Forces are also buying German self-propelled howitzers and trucks. Lithuanian troops have been using German G36 semi-automatic rifles for years. Historically, bilateral military ties date back a few centuries. Although part of the German society is sensitive about military missions due to the Nazi experience, Lithuanian historians emphasize the role of Saxonian volunteer troops in the 1919 Lithuanian independence fights against the Bolsheviks. "When the state of Lithuania was under establishment In the first half of 1919 and the Lithuanian army had no capacities of defending against the Bolshevik attackers, between 4,000 and 6,000 Saxonian volunteers was one of the main forces to stand grounds," historian Algimantas Kasparavičius told BNS Lithuania on Tuesday. In his words, the Nazi Holocaust and other war crimes should be viewed separately, as the independent state of Lithuania did not exist at the time. "The episode in World War II when the Third Reich army committed war crimes and crimes against humanity in Lithuania is an entirely different story that has nothing to do with Lithuania's statehood, as the state of Lithuania was non existent de facto at the time, and three invaders – Soviets, Germans and Soviets again – took turns to occupy us. The context falls out of the normal cooperation between Lithuania and Germany," said Kasparavičius.